Elder Ryan Bell Texas Houston Mission: BEST GENERAL CONFERENCE EVER!!!!!! THAT WAS THE BEST GENERAL CONFERENCE EVER!!!!!! The past couple of weeks we have been teaching a man named Wayne Bennefeld. I have not mentioned him very much in e-mails or letters, for which I am very sorry. Wayne is single, in his 30's and works selling alarm systems for a member of one of the wards where I am now serving. 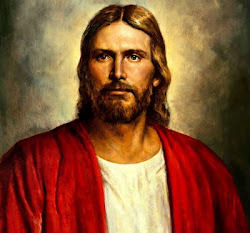 He lived in Arizona, owned a restaurant, was very well off, lost everything in a divorce, and has experienced the healing power of the Atonement. He is so enthusiastic about the Gospel that it makes me a little ashamed. It's AWESOME, though! He has a date to be baptized on October 27th and is eagerly looking forward to that day. It was very cool to watch General Conference with him and see how the messages touched, impacted, and motivated him to further change himself. Goodness! How cool it is just to spend time with someone who is undergoing a mighty change of heart. You can feel it happening inside them and it is undescribable. Just being in their presence radiates the love of God, indeed, the very fruit of the Tree of Life. We are working hard to improve here. As Elder Uchtdorf discussed in the Priesthood Session of General Conference, there is ALWAYS something less than ideal, but who are we to complain? How privileged we are to even be participating in this great cause! I apologize for sending such a short collective report today, but I will answer you all individually. A couple thoughts concerning Conference- it is awesome how the messages shared make us feel. But how can we make our General Conference experience more effective at making us who God wants us to be? 1) The Purpose of Church Conferences- see if you can identify what we are to do. 10 That inasmuch as ye do this, glory shall be added to the kingdom which ye have received. Inasmuch as ye do it not, it shall be btaken, even that which ye have received. 3 Nephi 17:3 Therefore, go ye unto your homes, and aponder upon the things which I have said, and ask of the Father, in my name, that ye may understand, and bprepare your minds for the cmorrow, and I come unto you again. Thank you all so much for the love and support. You each deserve all the blessings the Lord grants for having missionaries because of your sacrifices! P.S. I did not get transferred. Letters and packages encouraged. President Pingree to the Rescue!! country guy with an awesome accent! A Fiery Sermon concerning "Lunch"